Muzmo.Org » Music collections » Favorite songs of Nine Inch Nails leader Trent Reznor in "zero"
Favorite songs of Nine Inch Nails leader Trent Reznor in "zero"
In "zero" Trent Reznor, who is 51 today, was not yet an "Oscar" and he did not enjoy the role of musical music player Apple Music. Below, we offer a nightly playlist, which Trent made for one of the Australian channels. However, he perfectly complies and at any other time of the day - the musical taste has always been the trump card of the leader of the group Nine Inch Nails. 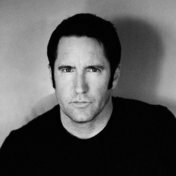 Listen to the collection Favorite songs of Nine Inch Nails leader Trent Reznor in "zero" in high quality, absolutely free. You can listen to the whole collection, or separately song by song. In addition to Favorite songs of Nine Inch Nails leader Trent Reznor in "zero" of the collection, you can find any other one by following the link and get information with the already collected collections and collections of tracks, songs and music.